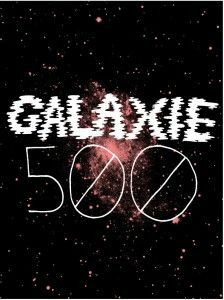 Galaxie 500 have been selected to be a part of a collection of specially designed memorabilia celebrating "a visual narrative of 20 years (1977-1997) of punk, new wave and indie rock." Artist Mike Perry has created a design for each of 10 bands which will be screenprinted onto T-shirts, bags and signed posters. These items are available to pre-order form Insound and will ship in mid-September. Other bands in the collection include The Feelies and Beat Happening. Head over The Insound 10 Classic web page to check out the designs and place your orders.